The conflict between Israel and Palestine has been going on for decades, ever since the Israeli forced occupation of the region. Back and forth the problems continue, with both sides to blame for the seemingly endless violence. Israel wishes to assert its control over Palestine, even going so far as to commit countless human rights abuses. Palestine seeks to break away from Israel’s grip and many within the country see aggressive action as the only option to make this happen. But regardless of the reasons, the end result is death. Now, the cycle begins again. Palestine has been firing hundreds of rockets at Israeli cities and Israel has been striking back with air raids. This powerful weaponry is aimed at military targets primarily, but the numbers of deaths show mostly civilians suffering. So far, the body count of Palestinians is 13 militants and 16 civilians - half of those being children. 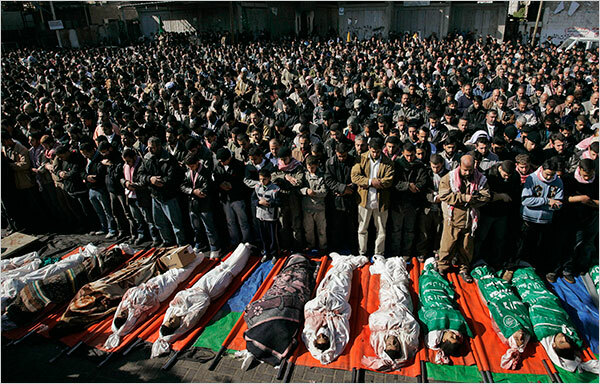 On the Israeli side, only three are dead, but all of those are civilians. In the end, Israel has the obvious advantage in the conflict, being armed with much better technology and having a far superior economy to support war efforts. But that doesn’t encourage Palestinians to back off, as they see their freedom as a necessary condition of them ending the violence. Israel is not likely to grant that freedom anytime soon, so the fight will rage on. With these latest attacks, we may see a final end to the conflict, for better or for worse, or it may end up being just one more battle to add to the history books. Others are stepping into to try and stop the violence, both supporters of Israel and supporters of Palestine, but in the end it’s up to the two groups themselves. As long as they persist in this feud, more innocents will die, but this doesn’t seem to faze the leaders of the two opposing armies.